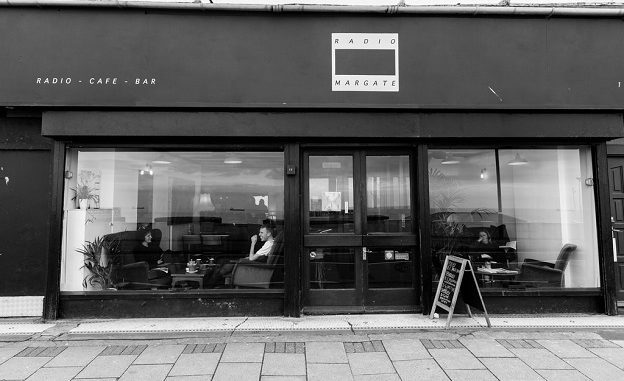 Radio Margate will close the doors of its Cliff Terrace base in Cliftonville for good next month. The project, which was launched following a kickstarter appeal in 2017 by founders Obaro and Kate Ejimiwe, will continue but in an ‘off road’ form, broadcasting and hosting events in various locations. In a social media message the team says: “It’s with great sadness but great excitement that we announce we will be closing our premises on Cliff Terrace in May. “The radio project will live on – in a purer form. But the home we’ve grown to love so much will close its doors to the public for the very last time on Saturday May 18. We’ll continue to host live gigs and events but will be ‘off road’ henceforth – broadcasting from other locations. “Building the space, designing the interior and getting it all operational was no easy feat and would have been impossible without the advice, talent and support of so many unbelievable human beings. Too many to mention here. You know who you are. Endless gratitude and respect to all of you. “This has been the craziest, most wonderful adventure we’ve ever taken on – the amazing community we discovered while running this project has proven that people have power when they band together to make good things happen – with little more than a shared passion and creativity. Several events will be held prior to the closing. On Friday, May 3 Kier Vine of Portico Quartet performs and a closing gig will take place on May 16 with Dave Okumu, Tom Herbert and Tom Skinner with DJ support from legendary jazz collector Paul Camo. Finally there will be a free entry. drink the bar dry party on Saturday, May 18 with a host of resident Radio Margate DJs, artists and presenters. Where will the Shoreditch hipsters go now?